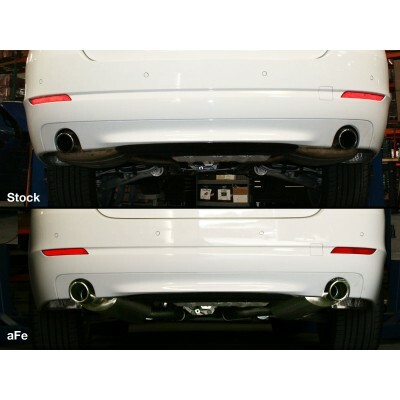 Add power and looks to your F10 BMW 535i with the aFe Power MACH Force XP Exhaust System. See gains of +9hp and +7lb/ft of torque! The aFe Power MACH Force XP Exhaust System for the F10 BMW 535i is the perfect performance modification by adding power and style to your F10. 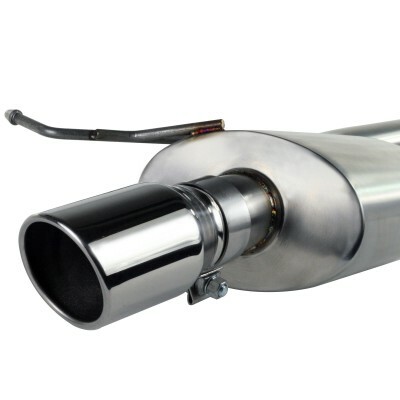 Expect to see gains of 9hp and 7lb/ft of torque to the wheels of your BMW F10 with the MACH Force XP Exhaust System. Many hours of research and development was spent to guarantee that your F10 535i is getting maximum performance while keeping down the decibel levels. The aFe Power Exhaust System uses a 3.5" inlet from the down pipe which merges into dual 2.5" tubing too allow for performance throughout the whole power band of the F10 535i. The double-walled 3.5", stainless steel exhaust tips are adjustable forward and rearward so your 535i can look super subtle or extra aggressive. The MACH Force XP Exhaust for your F10 535i uses all the original hanger locations so there is no modification necessary for easy installation. 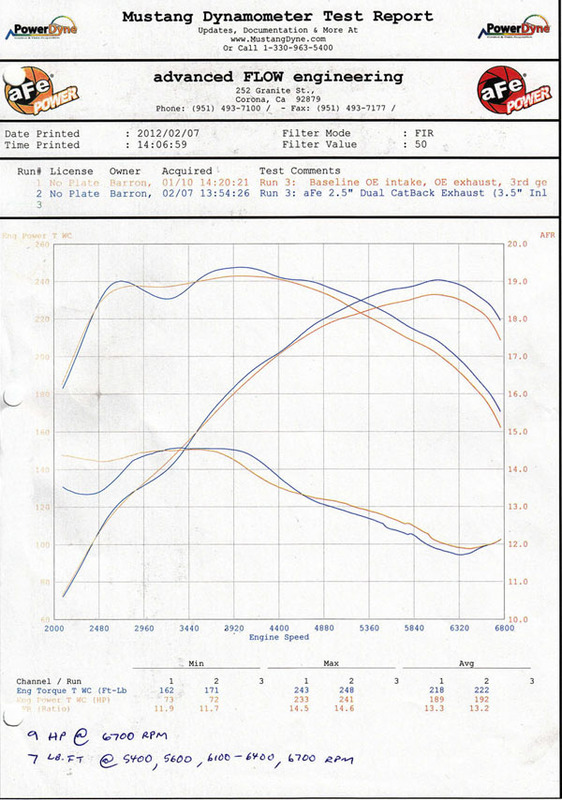 aFe spent countless hours in researching and developing an exhaust system that could perform through the whole power band of the F10 BMW 535i while keeping the decibel levels at a reasonable level. The result is the aFe MACH Force XP Exhaust System which is capable of dyno-power increases of 9hp and 7lb/ft of torque to the wheels. 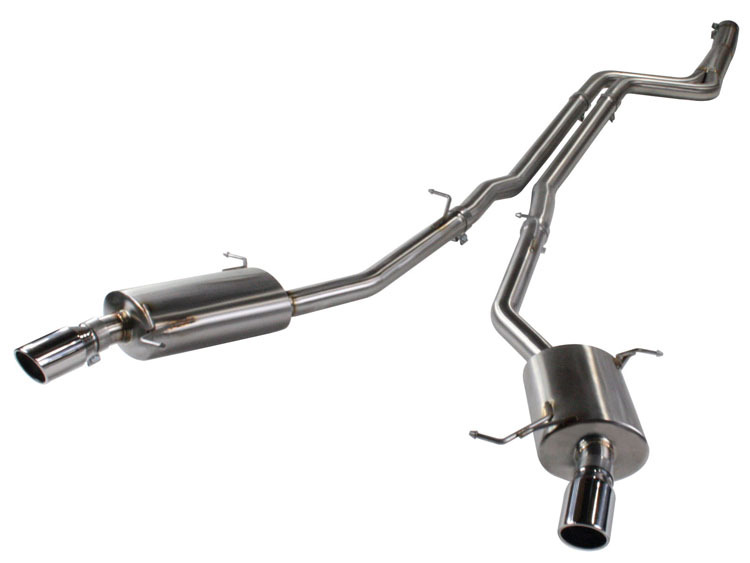 With the 3.5" double-walled, stainless steel tips and TIG-welded joints, you are receiving the best quality exhaust system for your F10 535i with the power to match. The aFe MACH Force Exhaust System is a beginner to medium-level installation. Specialized tools and access to the underside of your vehicle are required.